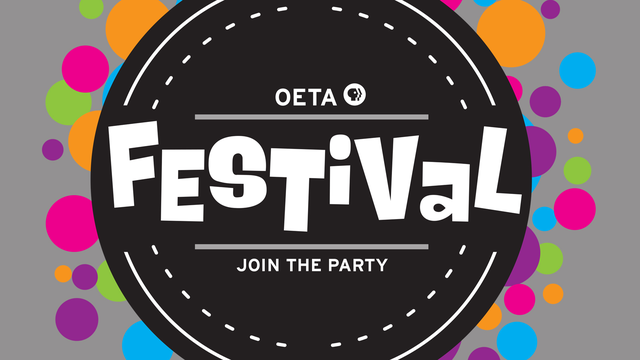 OETA recently announced the lineup for its annual membership drive and on-air “party,” FESTIVAL, running from Thursday February 26 through Sunday March 15. The funds raised will enable the OETA Foundation to purchase programming including Sesame Street, Downton Abbey, NOVA, Nature, Ken Burns documentaries and more for 2016. This year, OETA is presenting an all-new FESTIVAL lineup, packed with new performance specials from 50s pop to 60s rock, and including the most iconic performers of the Motown era. The party includes MOTOWN 25, the previously unavailable special that debuted Michael Jackson’s Moonwalk to the beat of Billie Jean. The special, airing Thursday March 12 at 7 p.m., features Richard Pryor hosting reunions of Smokey Robinson & The Miracles, Diana Ross & The Supremes, The Jackson 5, The Temptations, Four Tops, Marvin Gaye, Stevie Wonder, Martha Reeves, Mary Wells, Jr. Walker and more. Plus, Monday March 2 at 9 p.m., pop crooner Bobby Vinton opens MY YEARBOOK, a clip special devoted to the golden pop years from 1960-1963, and, original Batman Adam West celebrates fun, romance and good times with classic songs from The Beach Boys, The Monkees, The Byrds, The Righteous Brothers, The Rascals and more with ROCK REWIND, Tuesday March 3 at 8:30 p.m.
Also included in the lineup: THE BEST OF 50s POP, Wednesday March 4 at 7 p.m., with early favorites from Patti Page, The Crew Cuts, The Four Lads, The Four Aces and Frankie Laine. Also included in the lineup: 50 YEARS WITH PETER, PAUL AND MARY, Monday March 2 at 7 p.m.; GREAT BROADWAY MUSICAL MOMENTS FROM THE ED SULLIVAN SHOW, Saturday March 7 at 8:30 p.m.; CARRERAS DOMINGO PAVAROTTI IN CONCERT, Tuesday March 3 at 7 p.m.; and JOHN DENVER: COUNTRY BOY, Wednesday March 4 at 9 p.m.
Other pledge programs include new specials: Wheat Belly Total Health, airing Friday March 6 at 7:30 p.m.; RICK STEVES' DYNAMIC EUROPE: AMSTERDAM, PRAGUE, BERLIN, airing Sunday March 1 at 4 p.m.; SKINNY GUT VIBRANT YOU, airing Wednesday March 11 at 7 p.m.; CELTIC WOMAN FAN FAVORITES, airing Thursday March 5 at 8:30 p.m.; and BRIT FLOYD – LIVE AT RED ROCKS, airing Thursday March 12 at 9 p.m.
Festival 2015 concludes with the Best of Festival, Sunday March 15, featuring audience favorites. Full schedules and videos are available at oeta.tv.